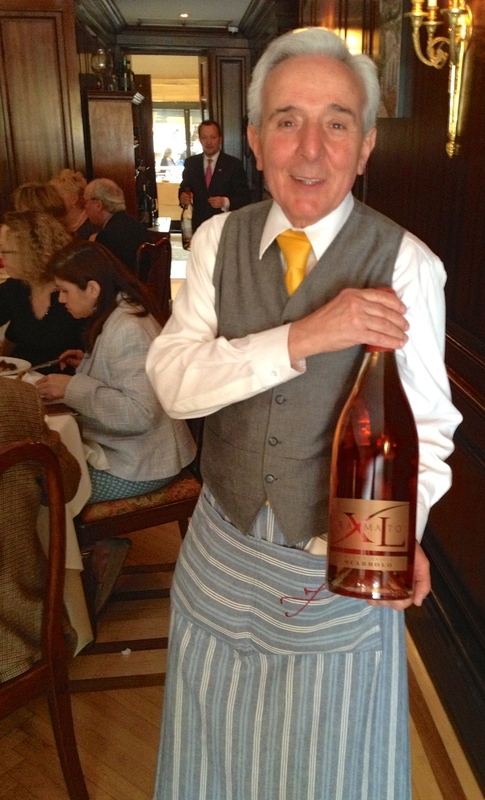 The Wine Media Guild has been holding its tastings and lunches at Felidia Restaurant for almost twenty years. At this season’s final tasting on May 1, the subject was the wines of Friuli. Wines from 3 wineries were presented. Lidia Maticchio Bastianich, proprietor of Felidia, and her son Joseph own the Bastianich Winery. Lidia stopped by to introduce her wines. She answered questions about the winery and told us how she became involved in the restaurant business. She said that her son was the driving force behind the winery and was very proud of the wines. 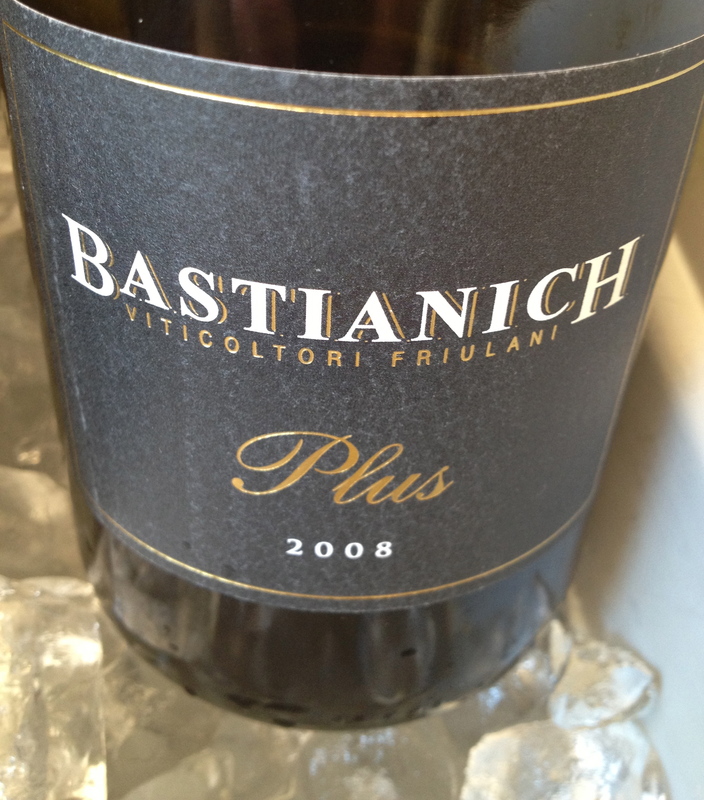 Vespa Bianco 2007 in Magnum this wine has aromas and flavors of mature pear and greater depth than the 2010. It was showing no signs of age. Tocai Plus 2008 DOC Is 100% Friulano (Tocai) 90% is late harvest and 10% appassimento (dried grapes). The grapes come from a single vineyard of 60-year-old vines. The soil is calcareous marl. There are 3,000 vines per hectare and the training system is guyot. The wine is fermented in stainless steel and 60% of the wine undergoes malolactic fermentation. The wine remains on the lees for 9 months and in bottle for one year before release. It has hints of candied orange peel, pear and melon with a nice finish and long aftertaste. Vespa Rosso 2009 DOC 50% Merlot, 30% Refosco, 15% Cabernet Sauvignon and 5% Cabernet Franc. There are 5,000 to 8,000 vines per hectare and the training system is guyot. The wine is made by fermenting and macerating each variety individually in open-topped, 500 liter tonneaux barrels. The punch down is done by hand for the softest possible extraction. A vertical press is used which extracts softer tannins, as there is less skin-against–skin friction. The wine is aged for 18 months in Allier barriques and another year in barrel before release. This is a structured fruit forward wine with a hint of spice. 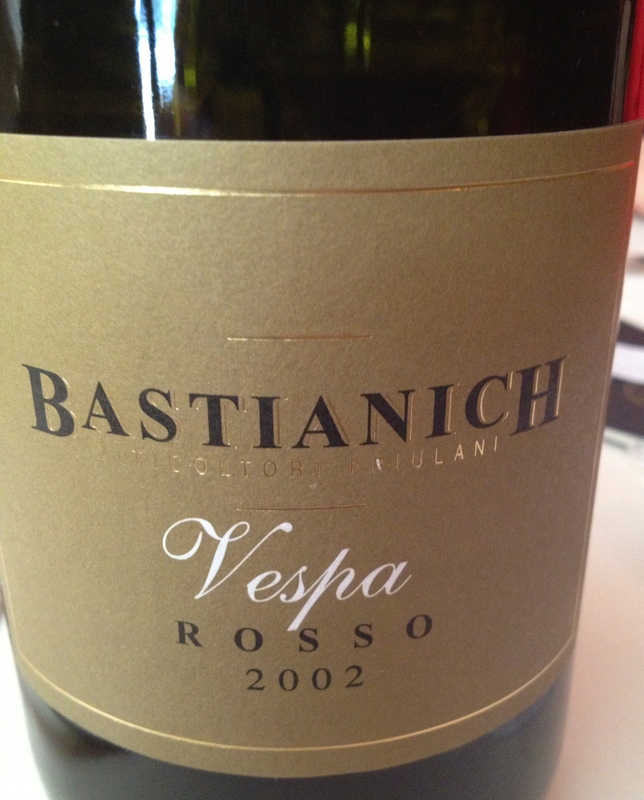 Vespa Rosso 2002 This wine is still fruit forward and has developed more complex flavors and aromas. It is showing no signs of age. 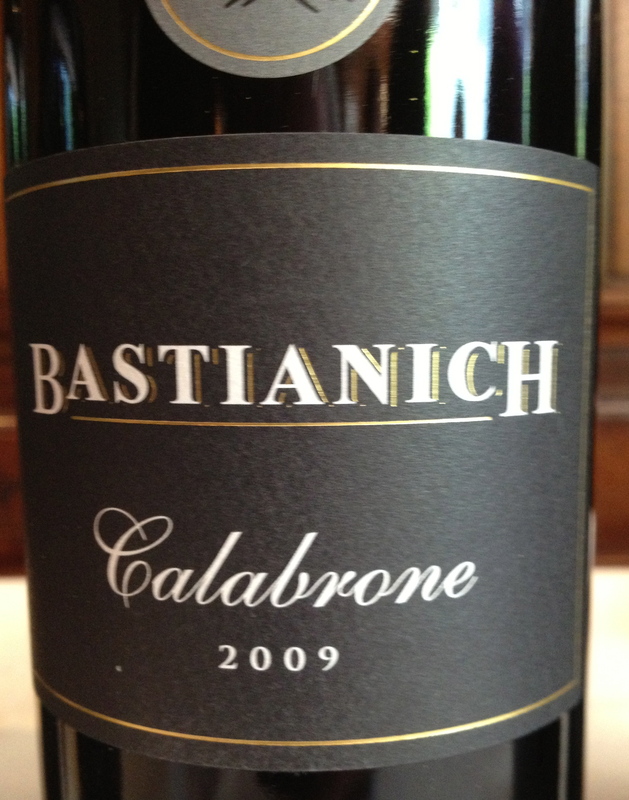 Calabrone 2008 70% Refosco, 10% Schioppettino, 10% Pignolo and 10% Merlot. There are 6,000 vines per hectare and the training system is guyot. 50% of the Refosco and all of the Schioppettino grapes are dried for four weeks. The dried clusters are then de-stemmed by hand and gently crushed. Fermentation and maceration take place in open-topped 500-liter tonnaux barrels. The punch down is done by hand for the softest possible extraction. In is interesting to note that they use a vertical wooden press. After 24 months in new Allier barriques the assemblage is created. The wine is aged for 2 years in bottle before release. This is a big wine, with mature red fruit with hints of chocolate, coffee and spice.